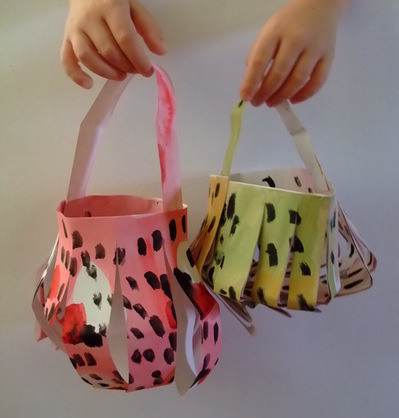 These are a fun, messy way for kids to paint animal print paper lanterns. 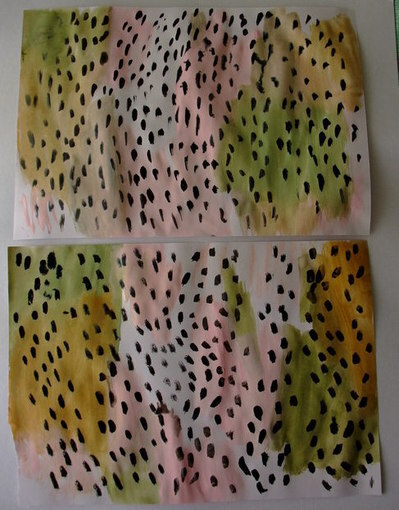 These were inspired by Ashley Goldberg prints and hung up in our frangipani tree. 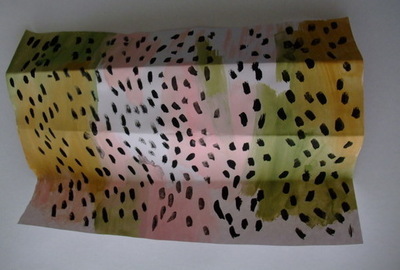 Wherever there is the colour black in the animal print pattern, encourage kids to use their fingers. 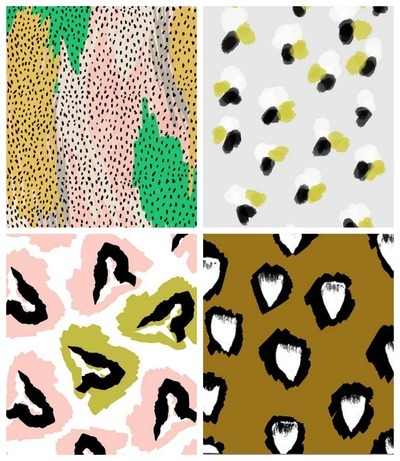 Here are a few Ashley Goldberg prints. Using watercolours paint prints on A3 paper. Fold over in half, then half again. 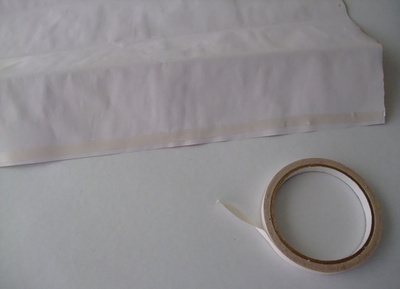 Run double sided tape along the longer side of the A3 paper. 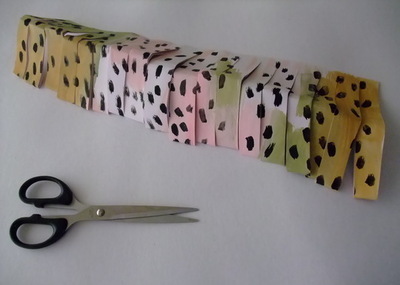 Fold over paper and glue together sides. Cut in all the way along, leaving 1cm uncut along the top. 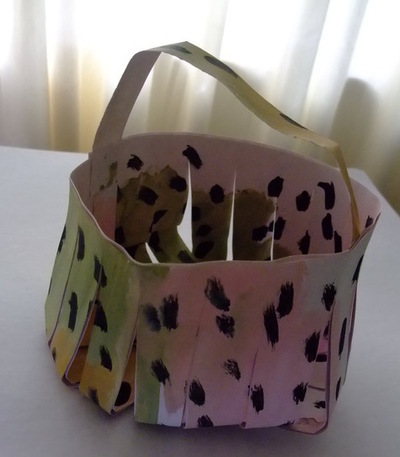 Bring the paper around and glue or staple to make a loop and then handle with a piece of paper. 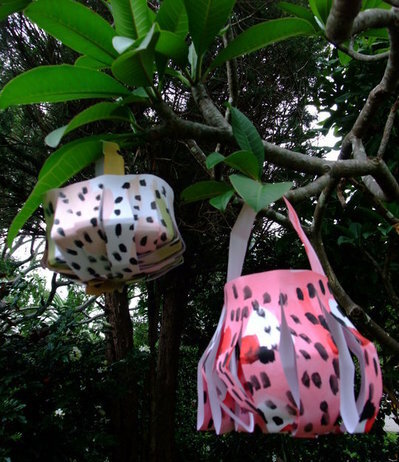 You can make these in different prints and colours and hang from a tree in your garden.